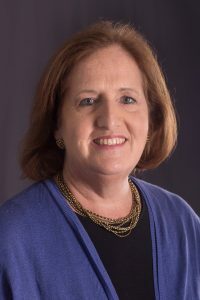 Carolyn, a member of the Centurion Class of 1981, returned to Asbury University in 1998 as Director of Alumni Relations and the Parent Program. In 2014, she moved into her current role as Senior Leadership Giving Officer. She greatly enjoys talking with alumni about ways to invest in the students of today and ensure the future of Asbury for generations to come. A Florida native, Carolyn has lived in Virginia, Michigan, New Hampshire, Florida and Washington and has traveled to over 30 countries. Carolyn received an M.A. in communications from Regent University and a certificate in fundraising management from the Lilly School of Philanthropy at IUPUI. She serves on the steering committee for the Kentucky Governor’s Prayer Breakfast and the Kentucky Student Leadership Forum, and the board of FORGE/Kingdom Building Ministries. She is also a founding board member of the Family Financial Foundation and the National Advisory Board of Media Fellowship International. Carolyn loves Kentucky but still wanders off to the beach (usually St. Augustine) every chance she gets.